An old friend, Shine Leu, who sadly passed away last year, loved to go fishing at Lake Ferry. Shine was a fine arts teacher at a college in Taiwan and he couldn’t get over the fact that we effectively allowed vast quantities of fresh water in the Ruamahunga River to flow out into the ocean. In Taiwan, he told me, every last skerrick of the liquid gold is captured and usefully used for both agriculture and commerce. 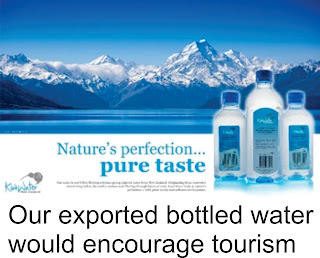 Last week we were told that some canny overseas-based entrepreneurs want to bottle our water and market it offshore. My first reaction, and even my second and third was to say “good on them.” Presumably they will invest in a bottling plant that will require contractors to construct on a site that will pay rates to whatever district council it is domiciled in. They will employ locals to work in the factory and pay income tax in this country and ACC levies. 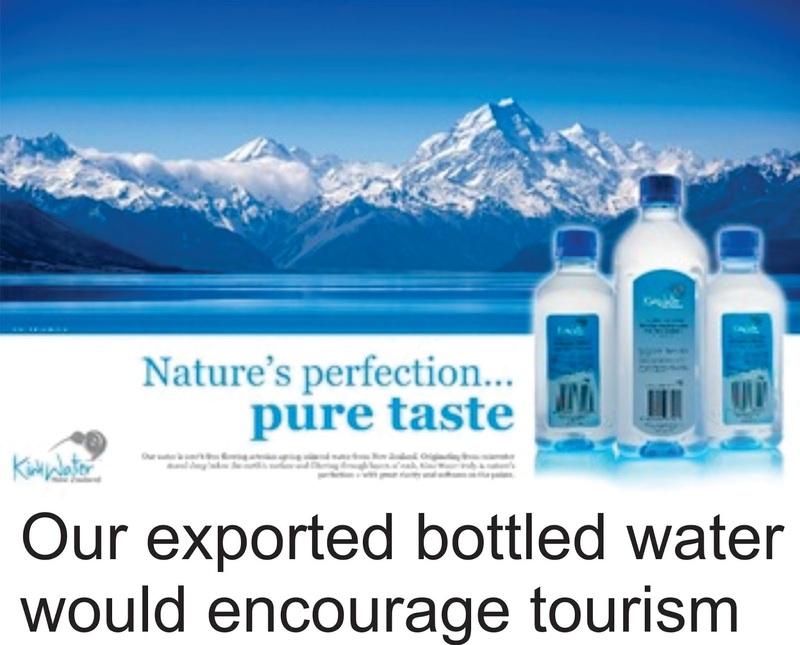 Let’s hope they have a glorious picture on the plastic bottle of some mountain range where the water might start its flow and a strapline about coming from pure New Zealand. This will potentially encourage even more tourism. As an outcome I’d be delighted if they can make a modest profit for their shareholders. All positive news, until the perpetually outraged stepped in. For starters they hate the word profit; and how dare these people come in and steal our precious water. This is the same water that falls from the sky, often in the form of snow and that eventually flows out to sea. And so we have tweets and outrage from all the normal suspects calling for bottled water exports to be banned, implying the level of exports is a threat to our water supply. At the very least they are insisting that this water be charged for. The government, who initially had the same positive thoughts I had, bows to the pressure; unlike his predecessor, English runs with the hares and hunt with the hounds. The government has subsequently written to its water advisory group telling it to investigate the feasibility of putting a price on exported water and to report back by the end of the year. The water required by the exporters is 8.7 million litres annually. If (say) a charge of 10c a litre was applied this would yield the government $870,000. Given government inefficiency, it would probably cost that much to collate and collect it. Mr English quite rightly worries that once you start charging for water it potentially opens up a can of worms as to who actually owns the water. The Treaty of Waitangi litigants might have something to say here and soon we might all have to pay for it. I read where it takes 330 litres of irrigated water to produce one litre of milk. At 10 cents a litre that adds $33 plus GST to the price you already pay for a litre of milk at the supermarket. I’m just wondering if the answer to all of this might be to build the bottling plant at Lake Ferry.